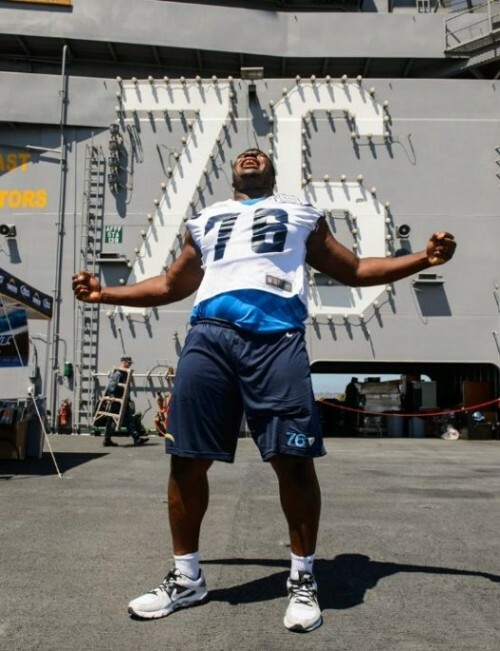 Aircraft carriers aren’t strangers to sporting events or to visits from NFL stars. But getting both at once is a bit of a rarity. 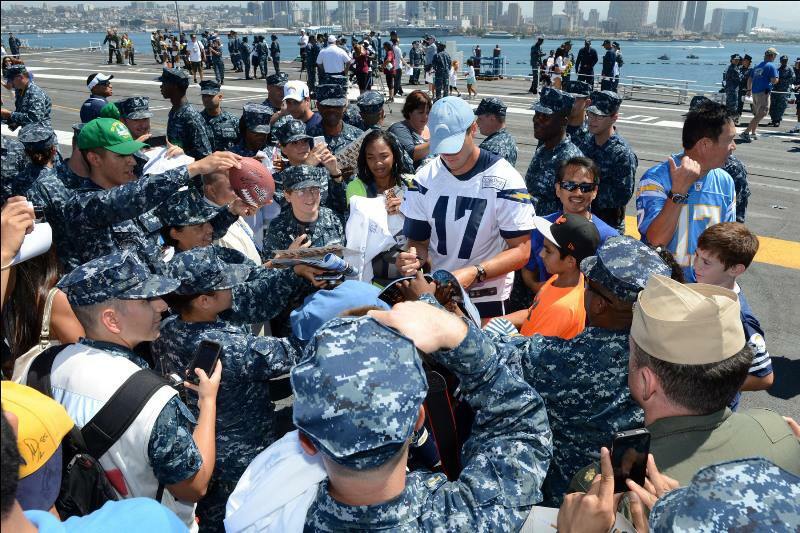 The San Diego Chargers staged a walk-through practice on the flight deck of the carrier Ronald Reagan on Wednesday, the day before their final preseason game. Crew members and about 70 Navy kids caught passes and got autographs from players and cheerleaders. The team presented the ship’s crew with an autographed helmet. No word on whether anybody played the team’s addictive, retro theme song during the visit. Or whether anybody pointed out the last name of the ship’s skipper — Capt. Christopher Bolt. The Chargers begin their regular season Sept. 9 at home against the Houston Texans.